When a sale transaction has been successful between a seller and buyer, it will be great to have a record of the transaction by using a bill of sale. 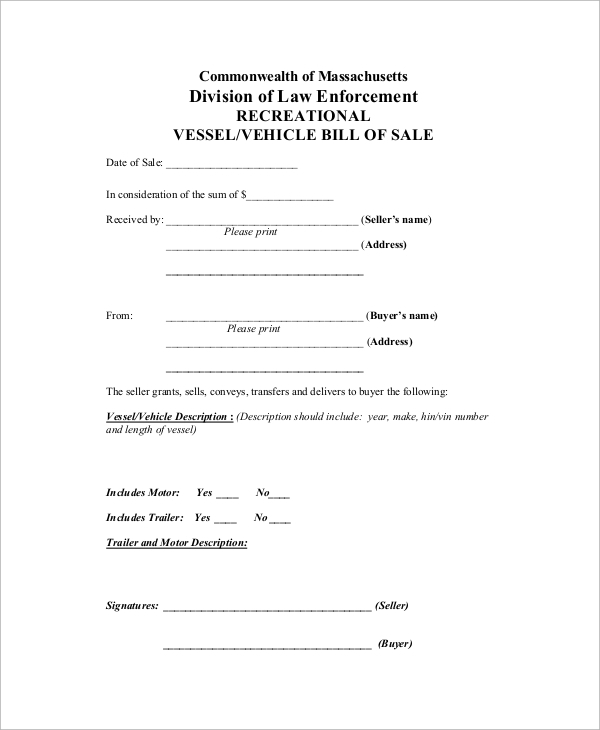 Bill of sale is usually utilized for sales that transfer an item’s ownership to another person. 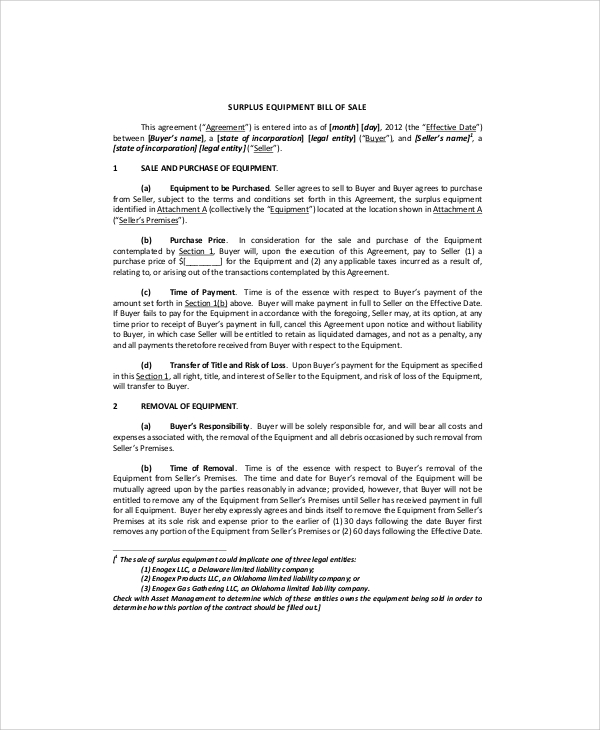 This document implies that both parties have come to an agreement that all the rights of the item sold is now transferred to the buyer. 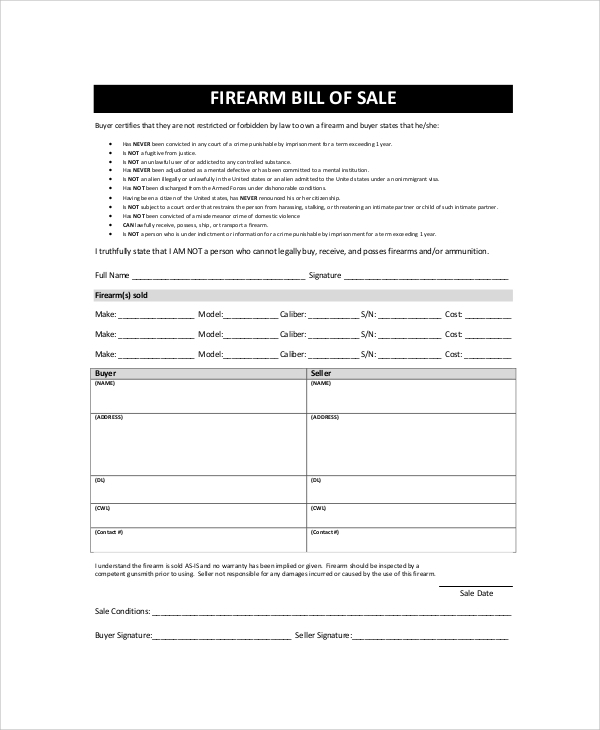 We have ten Bill of Sale Samples that you can make use of whenever you are selling your item that can be considered as assets. You can browse through our different samples below. 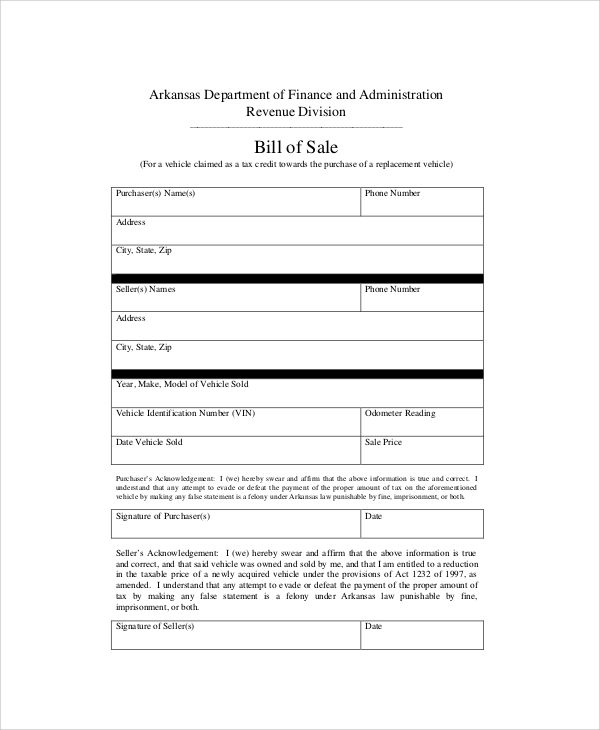 How Do We Define a Bill of Sale? 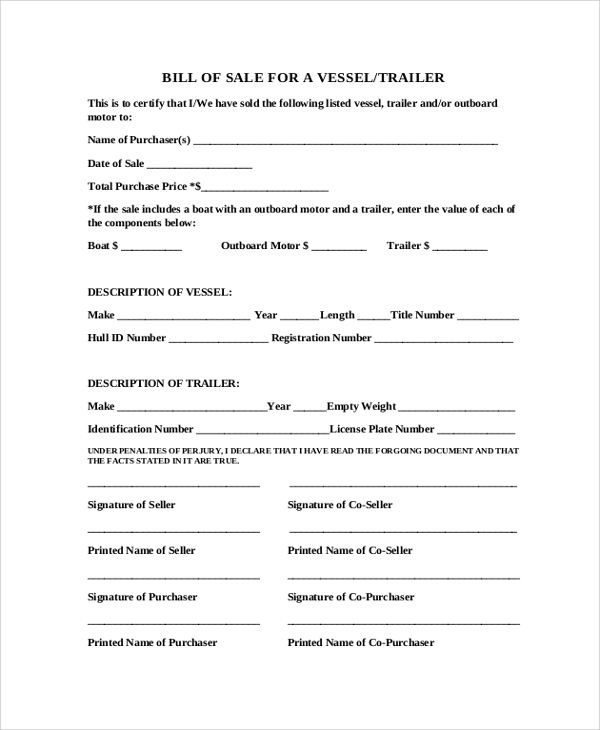 A bill of sale is basically a document that states all of the right to the item being sold by the seller is now transferred to the buyer of the item. These are usually used for items that have been legally recorded to be under the name of the seller. The items can be vehicles, vessels, motorcycles, equipment, etc. These are highly useful for situations such as reselling of items and filing of tax returns. 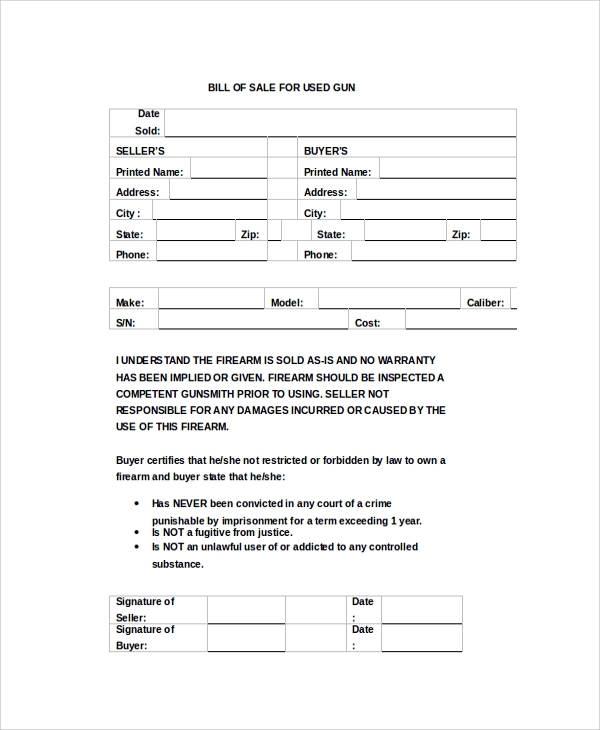 There may be certain guidelines that need to be followed in issuing a bill of sales. Please make sure to check with your local authorities first (see DMV Bill of Sale Samples). Why Are Bill of Sales Used? It can be used as a legal evidence for purchase, for the buyer’s case, and selling, for the seller’s case. Any problem that might be encountered by either the seller or buyer regarding the sale transaction can be resolved with the help of a bill of sales since all details that are deemed important for the sale are recorded in said document. These are extremely helpful should the purchaser plans on reselling the item, or when either of the parties need to file their tax returns for the year. 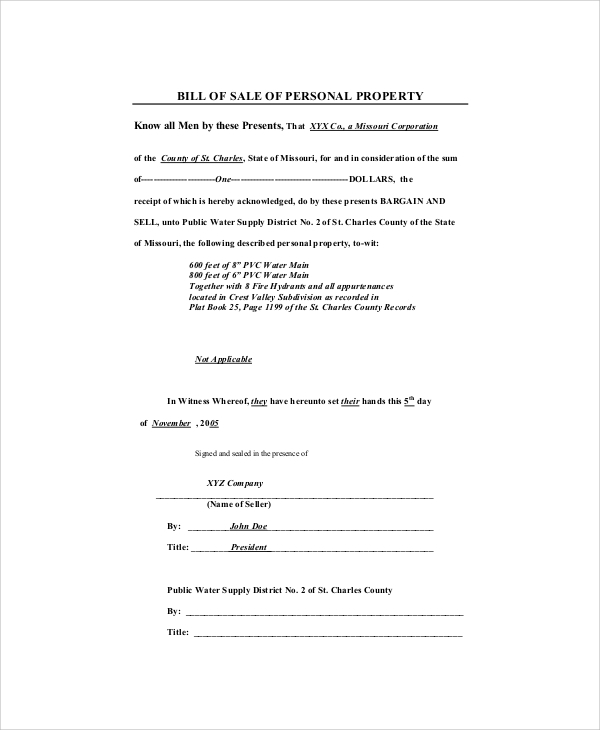 What Are the Contents of a Bill of Sale? Seller’s details—full name, contact details such as a mobile number and e-mail address, and signature. Buyer’s details—full name, contact details such as a mobile number and email address, and signature. The statement that mentions in full detail the transfer of all the rights of the item to be transferred to its new owner. Item description—serial numbers, warranty validity, color, model, year of purchase, any parts replaced, and other details that are relevant to the transaction. The date when the item was bought by the buyer. The price during selling and price during purchase (if different from each other). Include the currency used also. Proof the sale transaction is not considered illegal. 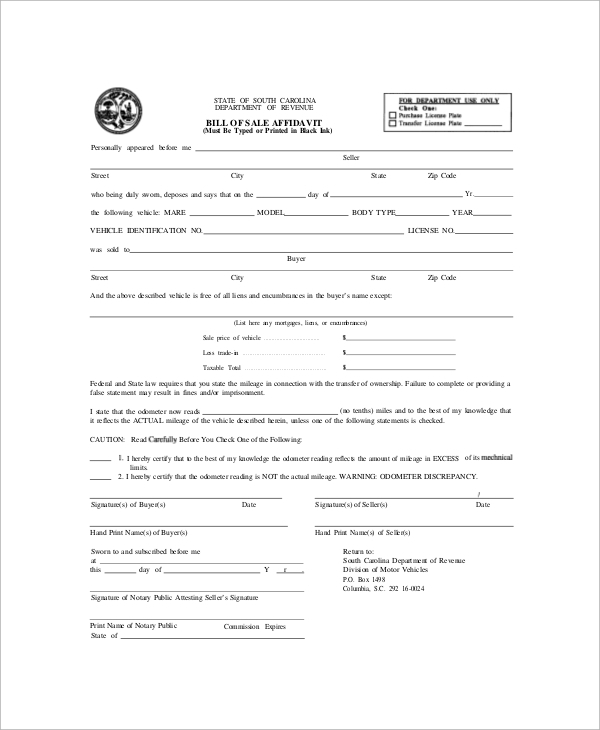 Having it notarized can help make it legal. 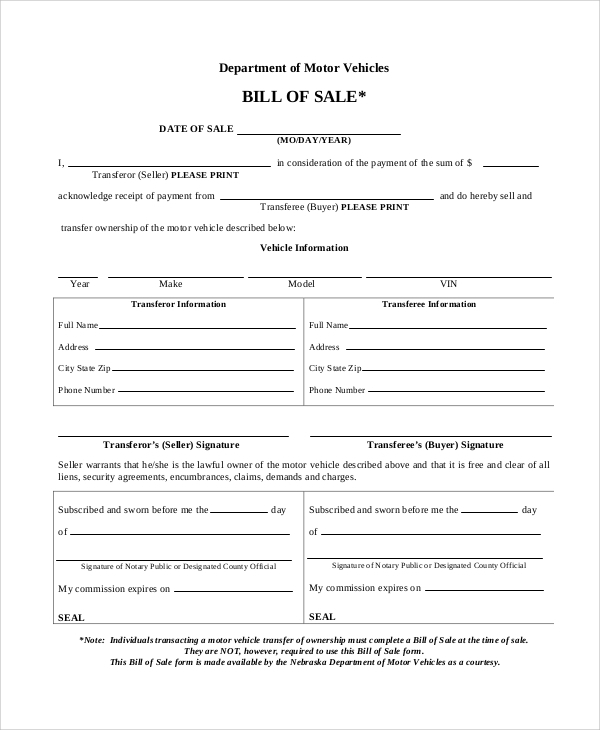 If there is a witness to the purchase, indicate the person’s name and have him/her affix his/her signature. Making use of the Sample Generic Bill of Sale can help you save time in creating your own since there is no need for you to draft one from scratch. 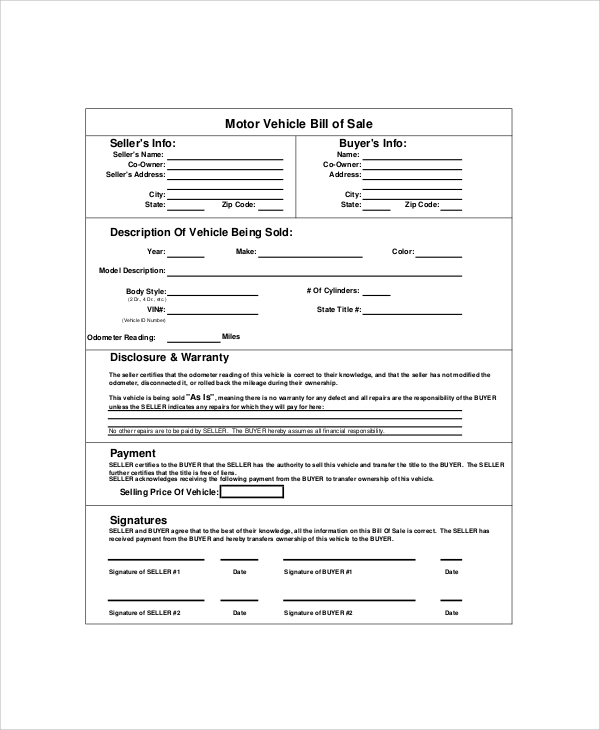 These documents are designed to record the complete details so all that you need to do is to fill out these templates with your own details and replace a few of the words to match it with your own sale transaction situation.